The cell functions to look into the grievances lodged by any student. Students may approach the cell to voice their grievances regarding academic matters, health services, library and other services. Any form of discontent or dissatisfaction on the part of the students can be informed to the cell. The Grievance cell also looks into matters of harassment. Anyone with a genuine grievance may approach the Co-ordinator or member of the Students’ Grievance cell. Grievances may also be sent through e-mail to the Co-ordinator of the Students’ Grievance Cell. The cell then redresses the grievances promptly and judiciously. As a result of this mechanism, the institute has pleasant ambient atmosphere and good work culture with in-built goodwill and mutual understanding among the students. Grievance cell is formed in order to keep the healthy working atmosphere amongst staff, students and parents. This cell helps Students to record their complaints and solve their problems related to academics, resources and personal grievancesfreely and franklywithout any fear of victimization. 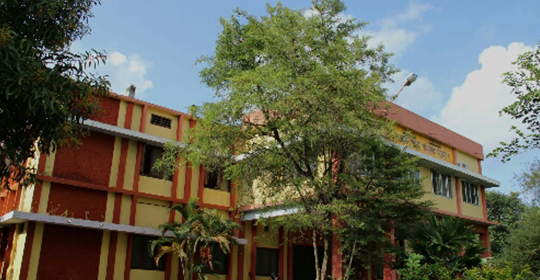 To keep the dignity of the college high by ensuring conflict free atmosphere in the College by promoting good Student-Student relationship and Student-teacher relationship. In order to advising Students of the College to respect each other and be patient whenever any occasion of conflict arises. To advise all the students to refrain from stirring up students against other students, teachers and College administration. Complaint Boxes have been installed in the College campus in which the Students, who want to remain anonymous, canput in writing their grievances and their suggestions for improving the academics/administration in the College. Students can lodge a complaint. The person concerned can personally approach to any member of the Cell and can send email or write an application and submit to Cell Convener for grievances of any sort. The cases will be attended promptly on receipt of grievances from the students. The cell will review all cases and will act formally accordingly as per the Management policy. The cell will give report to the authority about the cases attended to and the number of pendingcases, if any, which require direction and guidance from the higher authorities. Decisions of the executive council, academic council, board of studies and other administrative or academic committees constituted by the university. Decisions with regard to award of scholarship, fee concessions, medals etc. Decisions made by the university with regard to disciplinary matters and misconduct. Decisions of the university about admissions in any courses offered by the institute. Decisions by competent authority on assessment and examination result.